Australia is prosperous and our cities are regularly described as among the most 'liveable', but the harsh reality is there are too many pockets of disadvantage across the nation. At the Brotherhood of St Laurence, we want to drive change to ensure that we have a compassionate and fair society where everyone has a sense of belonging. Poverty is not just having too little money to live on. It can also mean being shut out from many other aspects of social and economic life that people commonly take for granted: a job, a home, being connected to community. We want to influence public debates and convince governments, businesses and others to take action on issues affecting the most disadvantaged people among us. A key aim is for the successful programs we develop to be adopted more widely by governments and other community organisations - indeed we work with partner organisations across the nation to implement our programs. 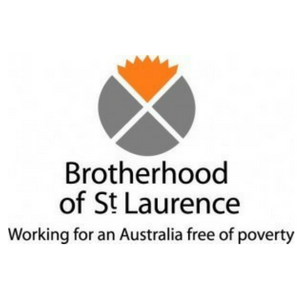 The Brotherhood of St Laurence was founded in 1930, amid the Great Depression, by the Anglican priest Father Gerard Tucker. He was a passionate campaigner for social reform in his day. Today, we continue to work for the goal of an Australia free of poverty with our innovative programs, research and campaigns. Our vision is for an Australia free of poverty. a sustainable society for our generation and future generations. In working for an Australia free of poverty, we recognise the Indigenous custodians of this country. We are committed to understanding the effects of the dispossession of Indigenous Australians and to achieving reconciliation. creating and developing enterprise projects and ventures as catalysts for individual and community transformation.